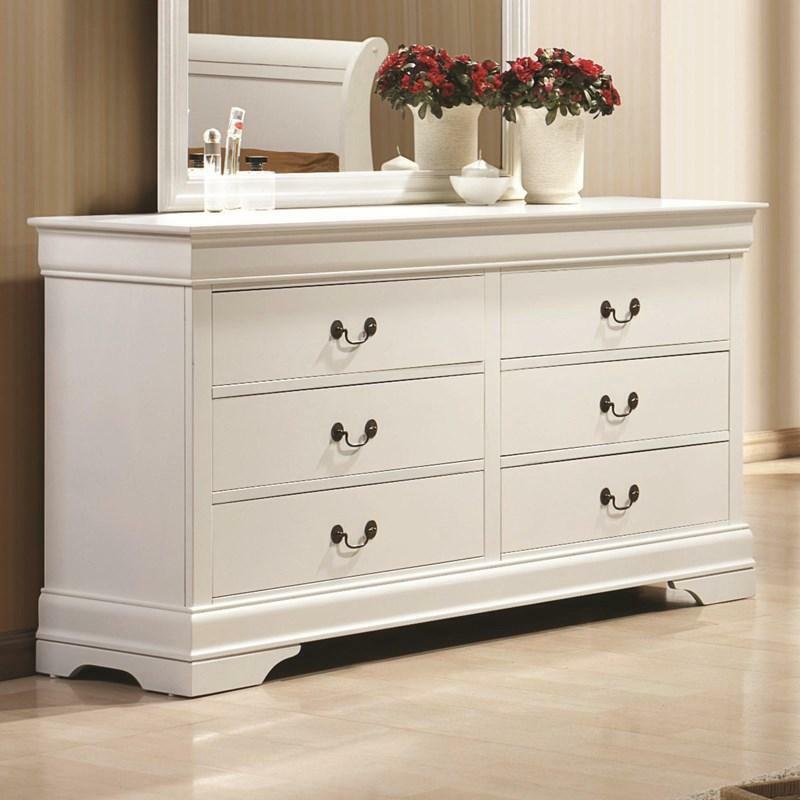 This Sandy Beach Drawer Chest offers a coastal style and comes in a charming white finish. 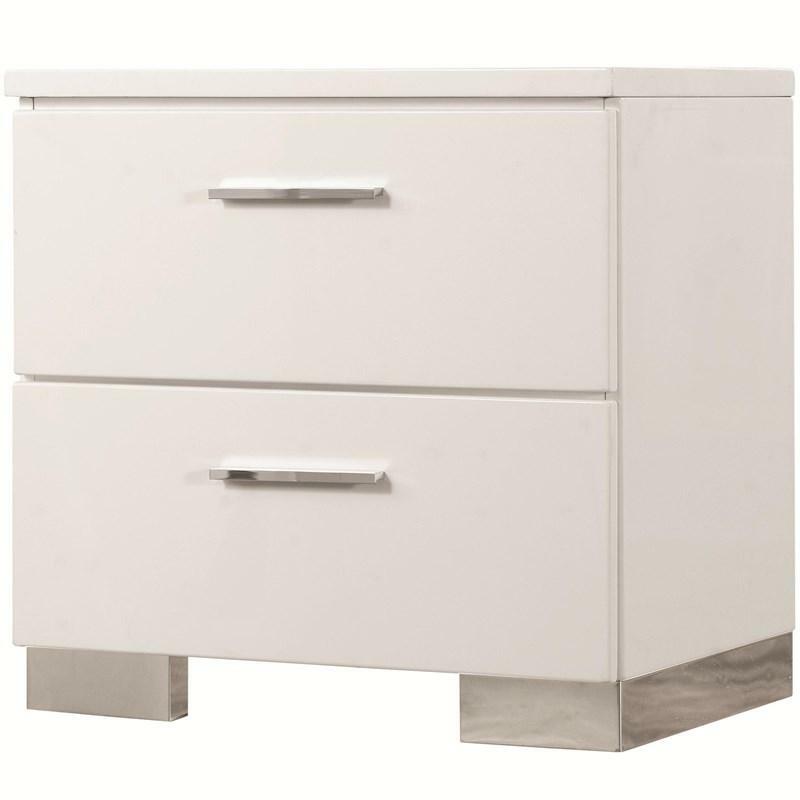 It features five storage drawers adorned with brushed nickel finish knob hardware and stands on tapered feet. Volume 29.562 cu. ft. / 0.84 cu. 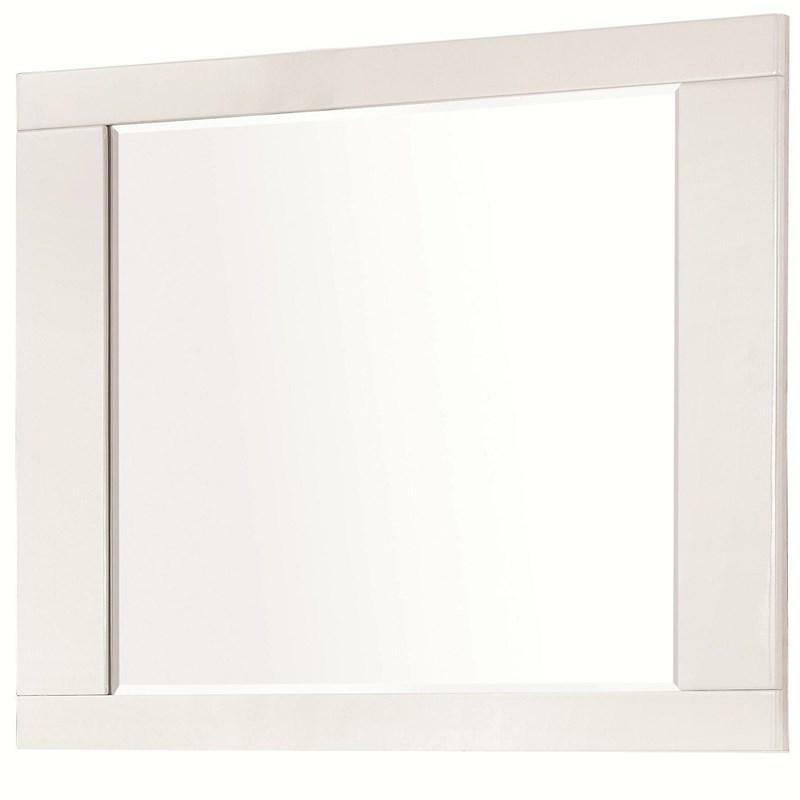 m.
This metal headboard is finished in a beautiful cottagewhite. 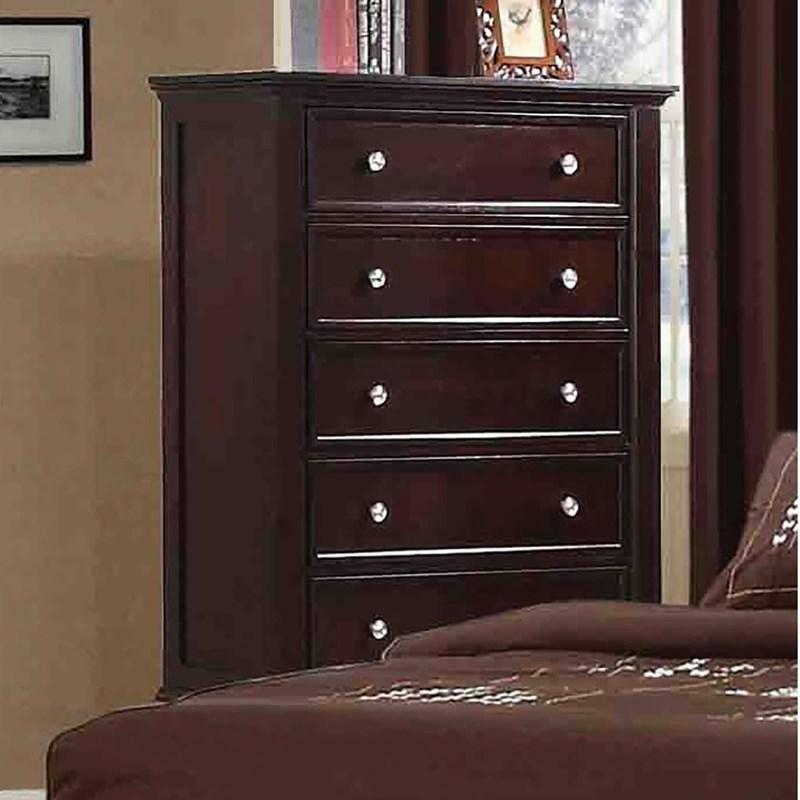 Simple and sleek in design, this headboard hasclean but strong lines. 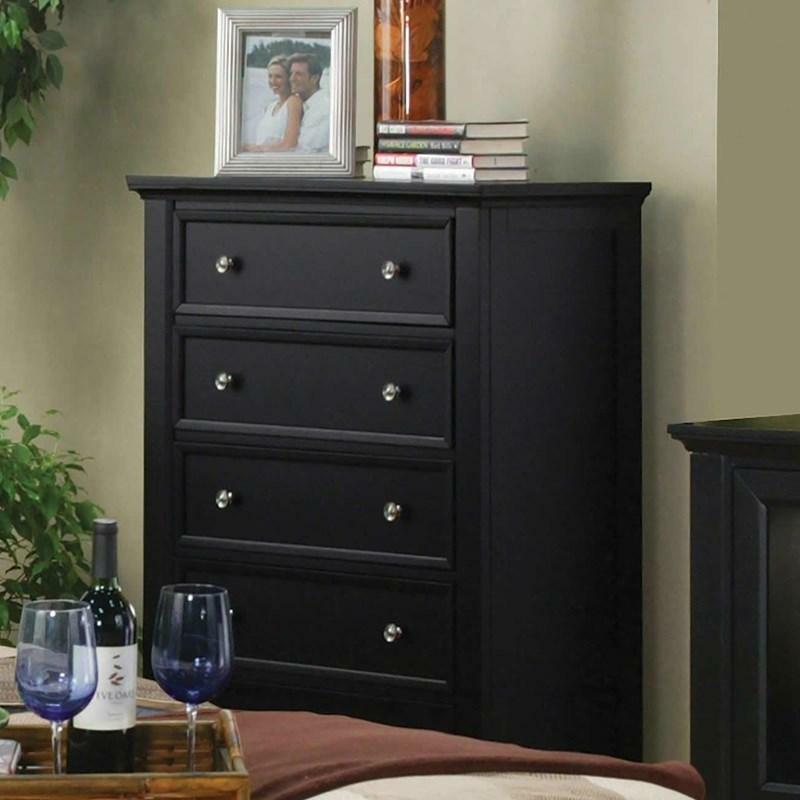 Available in a twin version, or a full/queen version that fits both full and queen bed frames. 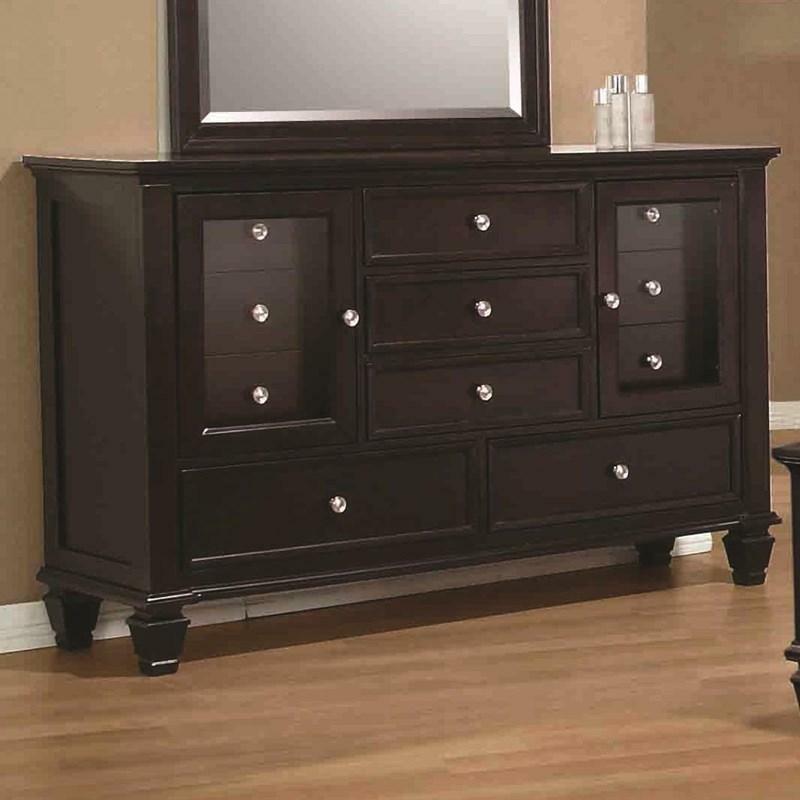 This Felicity Dresser Mirror by Coaster Furniture features a contemporary style with simple and clean lines and framed beveled mirror and high gloss finish of the bed will for sure give a good upgrade to your bedroom. 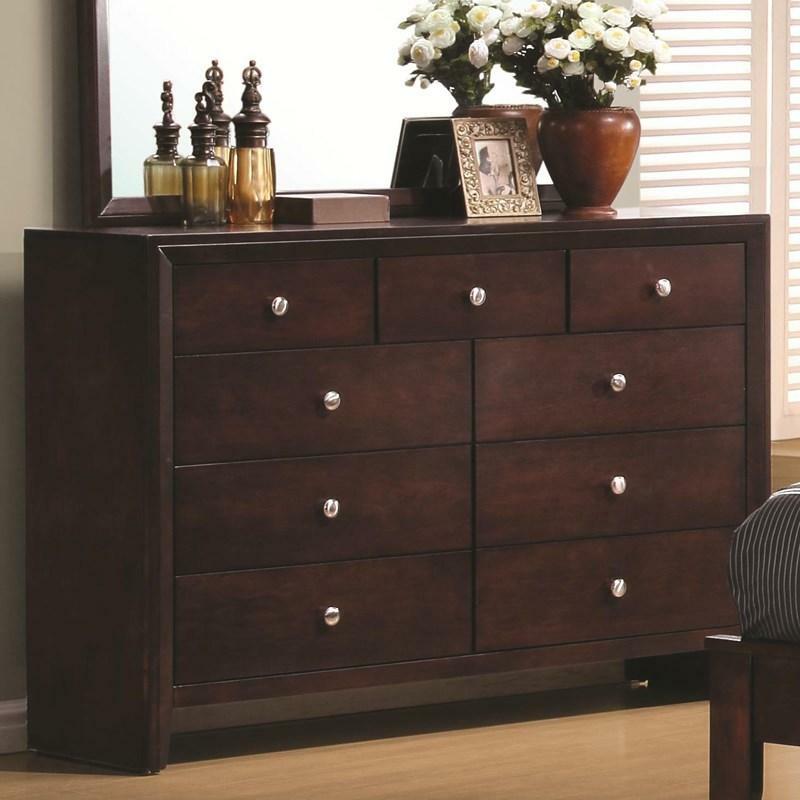 Bring a beautiful coastal flair to your master bedroom with the Franco Panel Bed. 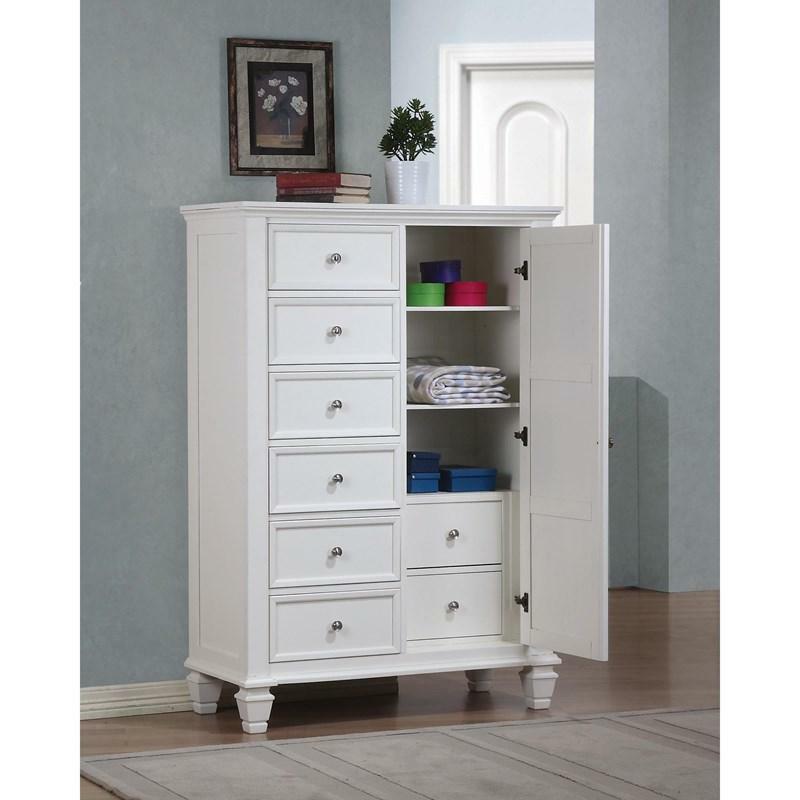 It comes in an Antique white with a hint of grey painted finish. 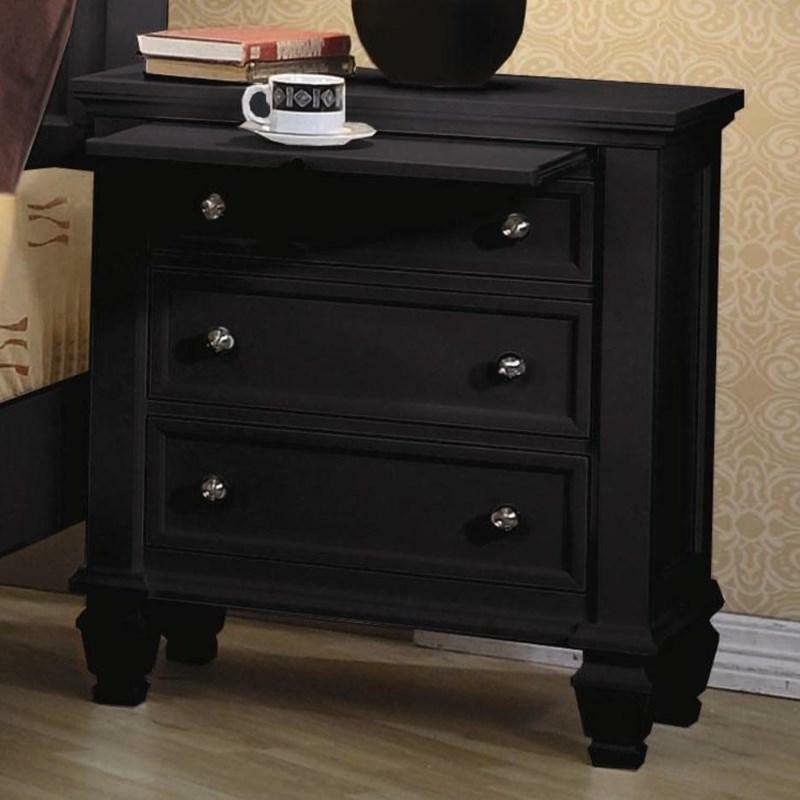 It features a tall louvered design headboard and a low profile footboard and tapered carved feet. 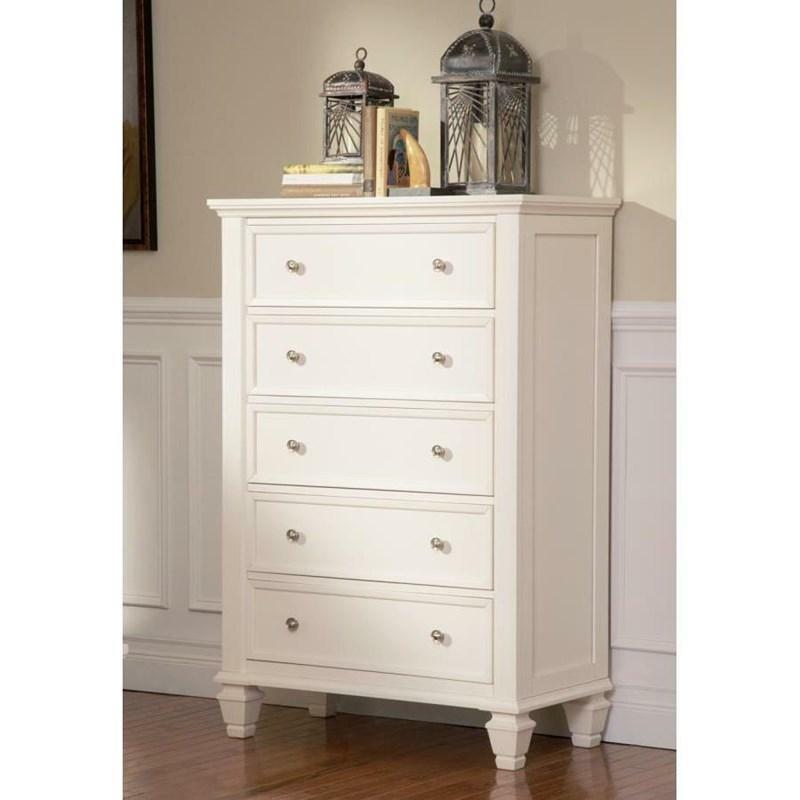 This Sandy Beach Man's Chest offers a coastal style and comes in a charming white finish. 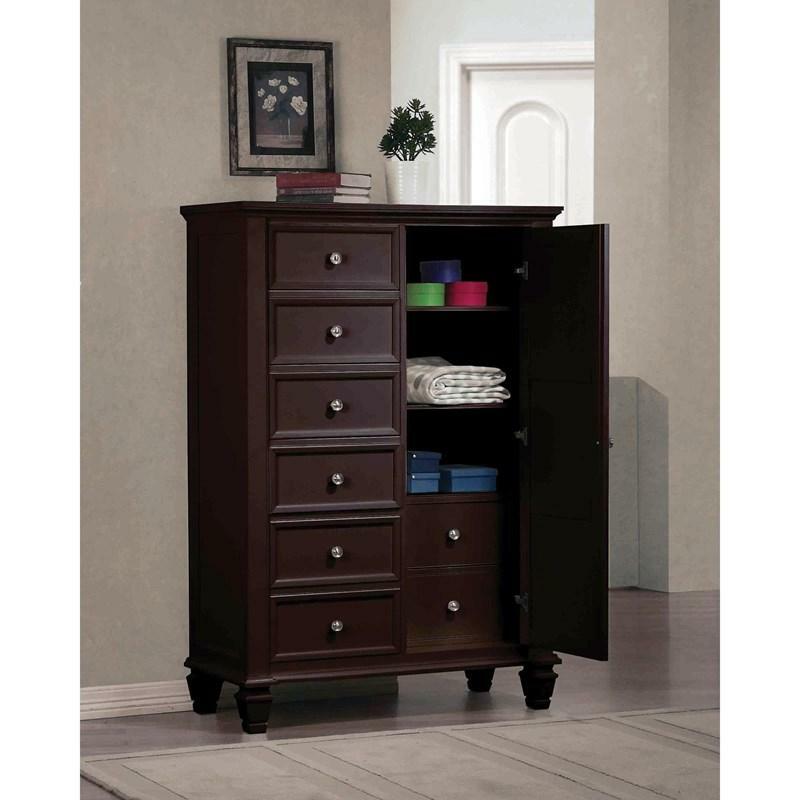 It features six storage drawers adorned with brushed nickel finish knob hardware and one door with shelves and drawers behind. It stands on tapered feet. 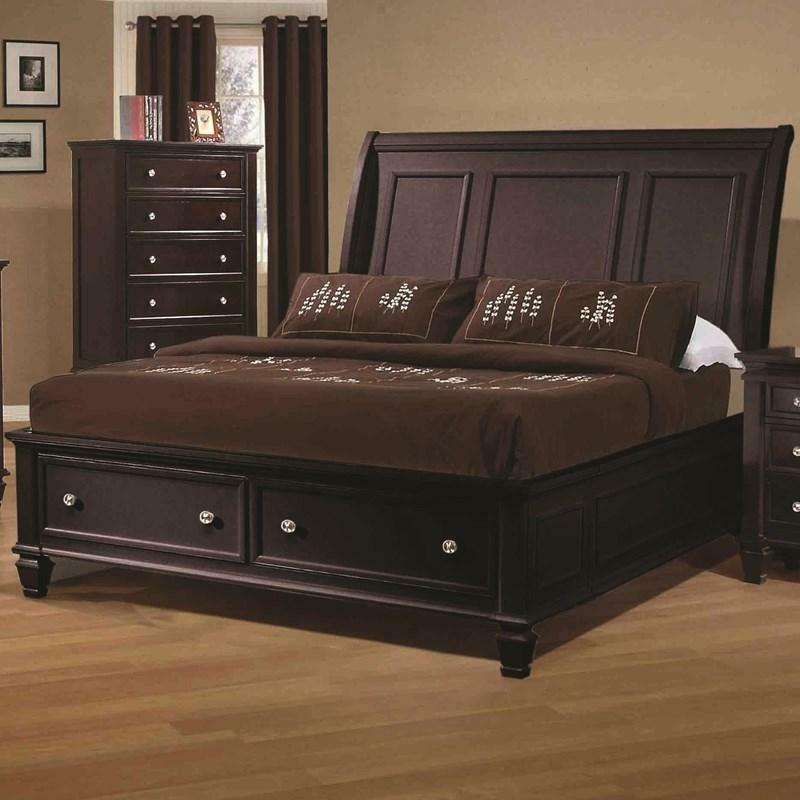 This Sandy Beach King Sleigh Bed with storage offers a coastal style and comes in a charming white finish. 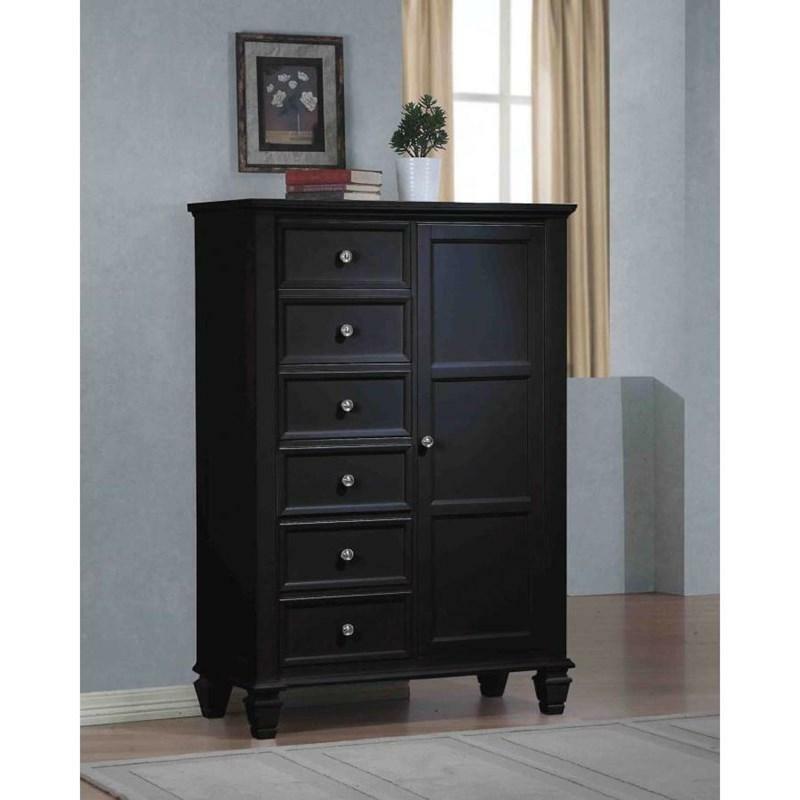 It features a sleigh style paneled headboard, low profile storage footboard with two drawers, framed details, and tapered feet.